They’ve been on TV, the silver screen, and have hawked a ridiculous variety of products, including dates for Ramadhan. And now the twins Upin and Ipin are set to take the stage by storm in ‘Upin & Ipin – The Musical’, directed and written by Zaifri Husin, with Datuk Suhaimi Mohd Zain as music director and A Aris Kadir as choreographer. The two title characters have won the hearts of the public, both young and old, with their cheeky humour and cute antics. They also won Best Animation for the first season of their TV show at the Kuala Lumpur International Film Festival in 2007, and are listed in the Malaysian Book of Records for being the most successful animation. 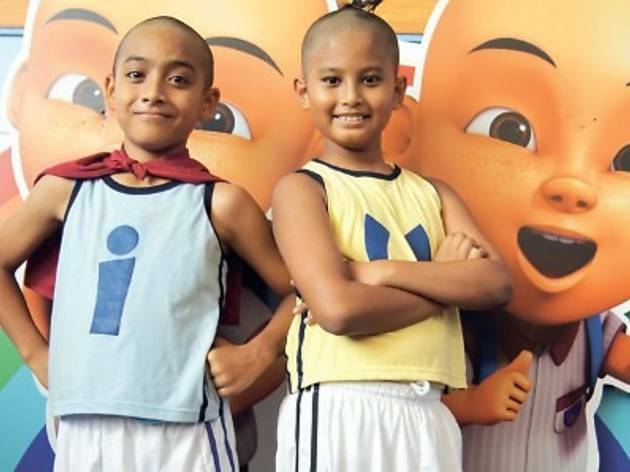 They even have a new film, ‘Laksamana Upin & Ipin’, set to be released later this year.